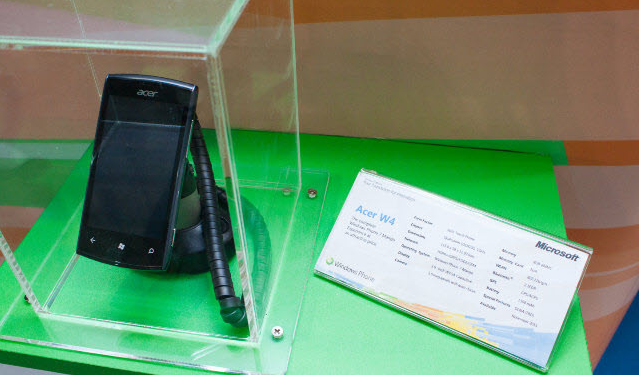 Acer has their W4 Windows Phone on display at Computex 2011. A close look at the placard reveals a November 2011 release. This will ship with Mango, but our eagle eyes cannot make much more from the tiny text.